Virgil T. Morant is a lawyer in northeastern Ohio. He practices civil litigation and criminal defense, as well as corporate law, and his work includes representation of clients in disputes over education and child custody. He is also a member of the International Law Section of the Cleveland Metropolitan Bar Association. His personal blog is Lasseter’s Lost Reef. That’s article 16(3) of the Universal Declaration of Human Rights, one part of the International Bill of Rights from the United Nations. While one does not need an especially fertile imagination to think of a good many people whose disdain for the U.N. (or suspicion at the least) would give little consideration to the authority, and while ordinary people don’t typically go around citing U.N. resolutions, that statement transcends legal controversy or political debate: it states a principle that is widely shared. It is not just a statement about the organization of society: it is an affirmation of how people generally feel about the dignity and centrality of home and family. Indeed even many of those who likely would have no truck with the United Nations and no love for International Law virtually quote that article word for word every day when they’re arguing about matters of home and family, and probably most of them scarcely even realize it. When we talk about rights, however precisely or imprecisely, we are talking about things that people feel very deeply about, things that give their lives meaning and purpose. That quote right there about the family says it. Now, in ordinary speech as well as the commonplace discourse of journalists and editorialists (“bloggers” too of course), any talk of rights is inevitably amorphous and indicative more of feelings and desires than it is of well-defined or cognizable rights. So, frequently when someone says that a right has been violated, what he really means is that he has been offended in some way. In everyday speech, and even in garden-variety “professional” commentary, that is fine—people who are talking casually or writing frequently will resort to such boilerplate, and there is little sense in crying about it—but, if we wish to step away from casual usage, we are likely best served by using the language of rights in two ways: (1) if the right is legally cognizable, then by reference to the authority that defines it or (2) if we are making a case for a right, then by setting out our definitions, argument, and authority. In his recent article, R.L. 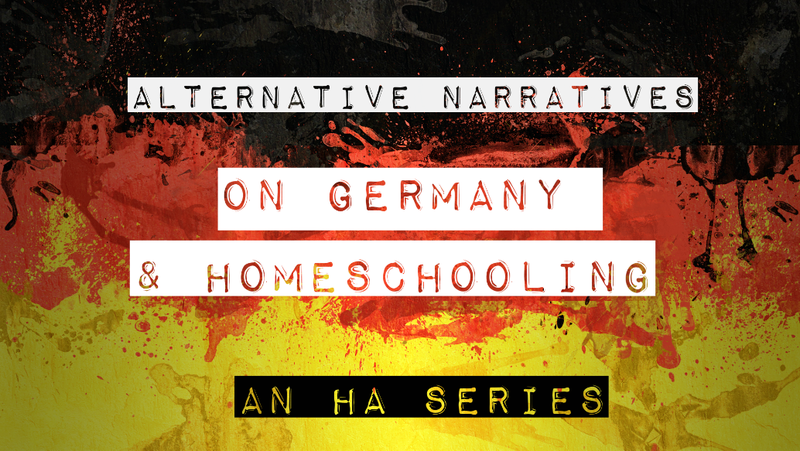 Stollar—who graciously invited me to write my reply to him as a guest post—actually used precisely these methods in order to make the case that homeschooling was not a right. Turning, however, to the authority he used and considering his argument, I have to disagree with his conclusion. As I noted in my comment to Mr. Stollar’s post, this language both gives a priority to parents in the determination of their children’s education and states it in terms of an act that is compelled: the children shall be educated, and the parents have the prior right to choose the kind of education. Some portion of Mr.Stollar’s post got bound up in the notion that a human right cannot be controlling over another person, but the very language he quoted seems to dispel that by granting parents what it unambiguously calls a right to make determinations for other human beings (parents choosing for their children). On top of this, it is not difficult to think of a number of other rights that involve and even require the cooperation, restraint, or compulsion of other human beings. I noted the right to counsel in criminal proceedings in my comment on his post. How about also the right to reasonable working hours (UDHR art. 24), which places limits on how much an employer can demand of his employees and requires him to provide reasonable leave, or the right to one’s reputation (UDHR art. 12), which limits freedom of speech from, say, defamation? These are just two examples. Rights place obligations upon the state to vindicate them, but they also often entail a restraint on individual human beings as well as granting the capacity for one human being to impose restraint upon another (as in parents making decisions for their children) or to seek redress for a violation (as when one sues for defamation). If we want to look to concrete authority to argue whether homeschooling is a right, by the way, why stop with the UDHR? Paragraph 3 states its “respect” for parental liberty in school choice—even choices besides public school—and paragraph 4 puts some teeth to this by forbidding the instrument from being interpreted to interfere with the individual’s liberty to establish educational institutions. Make of that what you will. Traveling by horse, if you have one, actually is a right, and it falls within the right to freedom of movement. Of course it is not a right to take someone else’s horse or to be given a horse, but the right to travel is one primarily cognizable in not being restrained from travel, and surely no state should have the right to stop you, under normal circumstances, from hopping on your horse and going where you will. Just the same, if a parent has a right to determine his child’s type of education, and, if we are agreed that whatever form of homeschooling we are talking about is a legitimate type of education, then surely the parental right includes the right to school the child at home. Of course, at some point in narrowing rights down to specific examples, it would become absurd to insist that they all be found in a United Nations convention. But a good many of the things we value as rights (in some proper sense of the word) are actually spelled out in writing in statutes and case law, which constitute an overwhelming number of words and pages. If there is any uncertainty about whether something should be legally protected—such as the right to school one’s children at home—then off to court one goes, where lawyers will find the citations and make the arguments. It’s all quite entertaining for pundits and ordinary people to complain about “rights” being violated, but rights don’t mean much of anything in a society of laws until their existence is tested and proven through law. Sometimes too, by the way, the universality of a norm is well demonstrated by the states that violate the norm against the greater consensus. So, however the current business in Germany, for instance, shakes out, and whatever may be adjudicated in the Unites States or anywhere else, for my own part, I just cannot fathom educating one’s children at home as not being a right—or, if you prefer (but I think this is hair-splitting), as squarely fitting within the right to choose the education of one’s children. We get emotional about our rights. We get emotional about these homeschooling rights in particular, because, as with any human liberty, they are subject to abuse, and by “abuse” I mean to say the kinds of acts that take us squarely outside the realm of rights. The abuses of homeschooling are famous in the portion of the blogosphere where I am writing now. And then there is the hazy realm of, let’s call it, “indoctrination”: why, with some of the more scandalous examples of homeschooling, what sorts of things are they teaching those children! A false history or poor science or just a pathological contempt for this segment of society or that or for society on the whole, perhaps? Let’s don’t forget, though, even when children go to public schools, their primary role models remain their parents. Even when children go through their rebellious phases, reckon themselves independent and free-thinking as adolescents will do, if they live in a home with parents, their parents are their principal models of how life is. Their chief guides, even if the parents don’t know it or don’t want it. No one can jack you up worse early in life than mom and dad, and nobody can guide and protect you better either. The family is the natural and fundamental group unit of society. That’s not just legal jargon, and it’s not just amorphous “rights” language. It’s the fundamental reality of parents and their children. Wouldn’t the strength of rights be defined somewhat by how inalienable they are? In other words, wouldn’t a right that is true of all people in all places and times be stronger than one that can be easily mitigated by circumstances? The right to life, for example, if a very strong one because there are very few cases in which it is justifiable to take that right away (some people would say none). The right to an education is also very strong because there would be few circumstances in which one could argue that it would proper not to provide an individual with an education. However, the right to educate at home is easily mitigated by circumstances. The parents may be abusers, they may be unfit to properly educate the children, the state may not have the resources to ensure that educational benchmarks are being met, etc. So perhaps homeschooling is generally a right but a weak one? It seems to me to be a question of where the boundaries are. Do parents have the right to educate their children regardless of all other considerations? If there are other considerations that may limit the right of the parents to educate their own children, what are they and how are the other considerations – child abuse is the obvious one – to be defined legally and enforced? I am no lawyer, as you can plainly see; this is just my two-cents worth. I am a homeschooling parent myself, but I have also seen some of the abuse this blog is arguing against. On the one hand, I believe it is important to protect the integrity of the family against undue interference by forces outside it, and on the other hand, it is important to protect the well-being of the children even sometimes against their own parents. We began homeschooling in Missouri in which the educational code specifically permitted parents to homeschool, but in which the welfare code specifically defined homeschooling as child neglect. The state’s right hand did not know what its left hand was doing, and we survived by staying under the radar, as so many others do. We need to come to some kind of coherent balanced policy. No “right” is ever absolute and unbounded, but imposing limitations on a right does not mean that it is no longer a right.